A special Sunday devotional will start at 11am with traditional Finnish folk songs and hymns to get you in the Finnish mid-summer vibe. 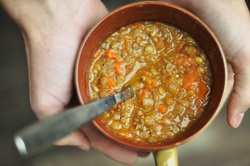 This will be followed by a hearty lunch of warming soup - perfect for this time of year. Top this off with a hot cup of coffee, pulla and other treats, and you will be left feeling more than content for the afternoon.